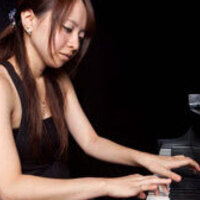 Michiko Saiki is a pianist, composer, and multimedia artist born in a small town in Saitama, a suburb of Tokyo, home of one of the oldest wooden-structured shrines in Japan. As she was raised amongst a devoted Shinto-Buddhist family, with the renowned shrine so close to her home, Michiko’s early perspective of life was largely influenced by traditional Japanese cultural values. Her upbringing within Tokyo’s fast paced culture, her Shinto-Buddhist family, and her early musical training as a pianist influenced her early artistic interests. Her goal as an artist is to create works that go beyond the limitations of traditional mediums and the conventional social norms she was immersed in.